1. Heat a griddle or pan to medium-high heat, and butter both sides of a slice of bread. 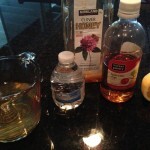 I find it easiest for cleanup to do this step on a sheet of wax paper or paper towel. 2. 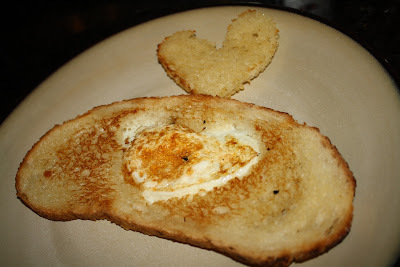 With a biscuit cutter, the rim of a glass, or just a knife, cut a large circle or heart out of the center of the bread. 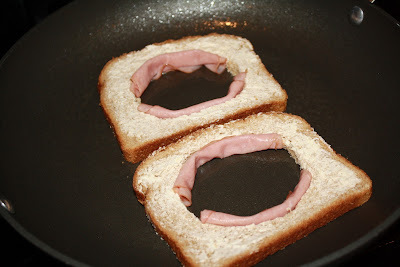 Toast the bread circles in the toaster oven while you are making the Bull’s eye. You can add salt to these and dip them in the center egg yolk. 3. Place the bread in the heated pan (the butter should make a “sizzling” sound). 4. Once you hear the “sizzling” sound, crack the egg directly in the middle of the piece of bread from which you cut the circle. 5. When the white of the egg is not see-through anymore, turn the egg/bread combo over. 6. 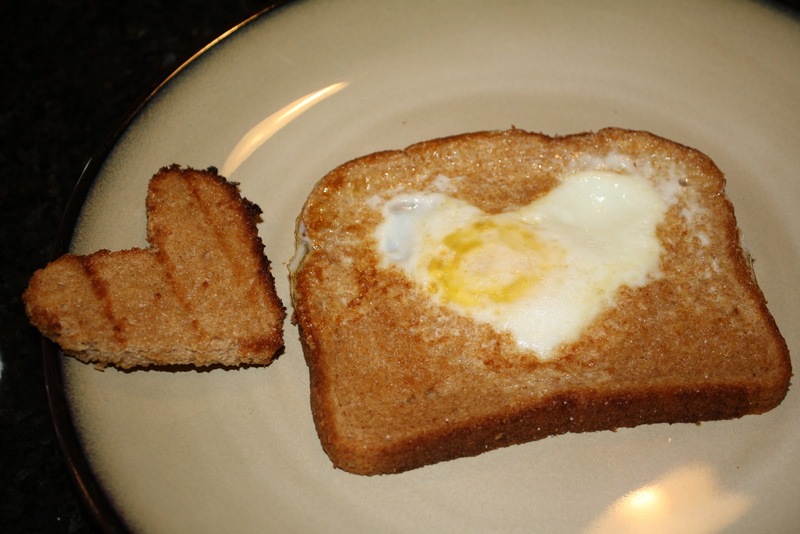 Cook until bread is brown on both sides (like toast) and egg in the middle of egg/bread combo is over-easy (the white is cooked on both sides while the yolk is liquid). 7. Salt & Pepper to taste and serve with your favorite fruit, juice, or coffee.